Indigo Buntings arrive in central Illinois in late April to mid-May. Some will stay with us all summer, while others will continue north. 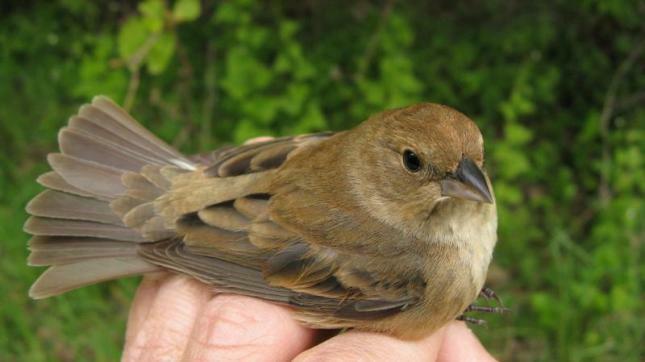 The actively migrating birds can be found both in town and rural areas, but those who stay in our area to breed tend to stick to the more natural habitats. A mix of woodlands and open areas is ideal. Males are bright blue and females are a dull gray-brown. Indigo Buntings will readily eat alongside Goldfinches at finch feeders filled with WBU Finch Mix, which contains the buntings' two favorite seeds, nyjer and sunflower chips. As long as they aren't ousted by more dominant birds, they may also eat white millet or sunflower chips from tray, tube, or hopper feeders. WBU's Springfield Supreme, Deluxe, or No-Mess blends can all prove successful. 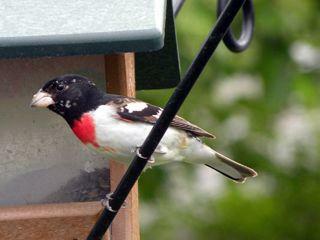 The migration pattern and summer breeding habitat of the Rose Breasted Grosbeak is nearly identical to that of the buntings above. 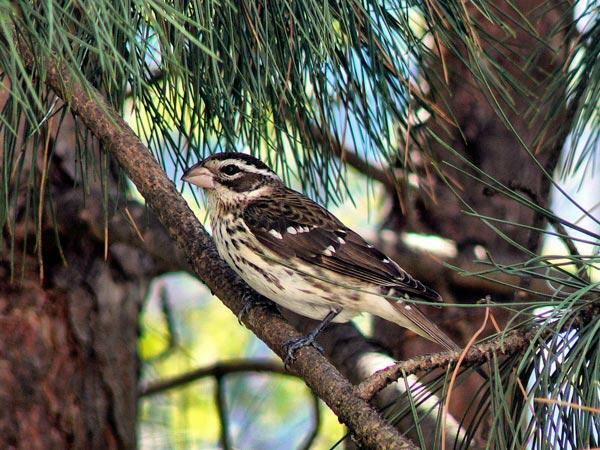 So, whether you live in town or in the countryside, you can watch for these interesting songbirds. Like their close cousin the Cardinal, grosbeaks prefer to feed at open tray feeders or other feeders with large perching areas. 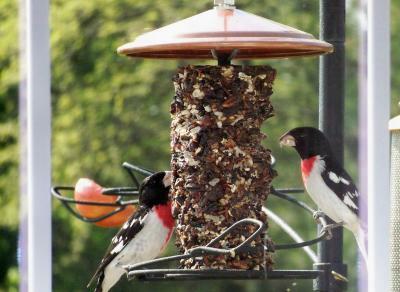 They love safflower seed, as well as our WBU Springfield Supreme Blend. With their large, strong beaks (hence their names), they also happily chip away at any of our cylinder style feeders.